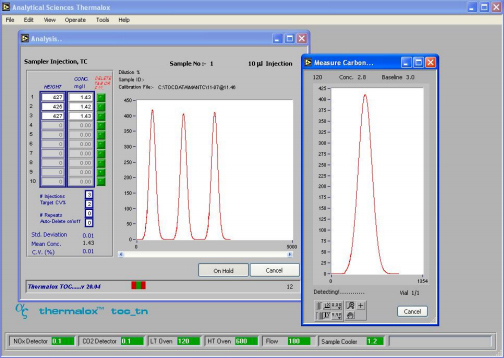 Analytical Sciences, UK, via its association with SVI offers the Thermalox, which employs the thermal catalytic oxidation technique to give near perfect oxidation, but combines this with the most sensitive detector manufactured anywhere in the world. 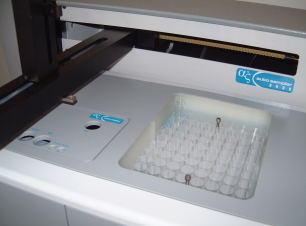 The Thermalox instruments utilize our Model 8000 XYZ autosampler. This gives maximum flexibility and allows a high degree of automation. Calibrants can be made up automatically; sparging, dilutions and sample agitation can easily be carried out. The standard vial rack holds up to 88 glass or disposable plastic vials, with or without lids. It can be chilled and we are happy to provide racks to suit special requirements. By using a special aspiration step, samples containing particulate can be automatically agitated, ensuring that a representative sample aliquot is aspirated from the vial.